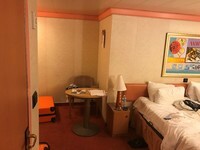 We chose this cruise as a short getaway during Spring Break. Everything was simply beyond expectations. This was my 5th and best cruise yet. 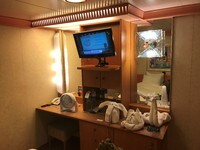 The ship overall was in excellent condition, clean, and sported a friendly atmosphere. The cabin exceed our expectations. We signed up for a TBD cabin as it was the cheapest option when we booked the cruise and we really do not care what our cabin is since we don&apos;t spend much time there. We were very pleasantly surprised!! We ended up assigned to 1202. 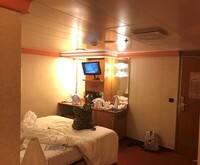 It is an interior cabin on deck one, but it was huge! If you look at the deck plan, you can see it was an odd shaped room compared to a standard interior. 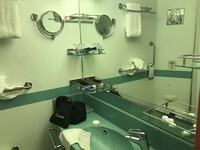 I&apos;ve stayed in a junior sweet and interior rooms and this was the largest cabin I have been in. We absolutely loved it! The location at a dead-end, kept it very quite from outside traffic in the hallway. We heard some hull noises maybe called by water hitting the hull, but only once or twice and it was not intrusive. No vibrations, no engine noises, just nice and quite. Dining options were excellent and we did not eat in the same place twice over the three days. The entertainment was amazing. Nono, the Cruise Director, was the best of my cruising experience. She was friendly, high energy, helpful and funny. The crowd was younger with many college and younger kids. But everyone was friendly, well mannered and fun! The shows were amazing! We partied like rock stars! We didn&apos;t do an excursion in Nassau. We just walked to the public beach, relaxed, shopped, and casually strolled around. 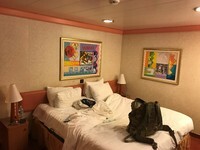 We chose this cruise as a short getaway during Spring Break. Everything was simply beyond expectations. This was my 5th and best cruise yet. 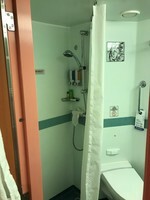 The ship overall was in excellent condition, clean, and sported a friendly atmosphere. The cabin exceed our expectations. We signed up for a TBD cabin as it was the cheapest option when we booked the cruise and we really do not care what our cabin is since we don&apos;t spend much time there. We were very pleasantly surprised!! We ended up assigned to 1202. 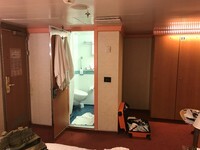 It is an interior cabin on deck one, but it was huge! If you look at the deck plan, you can see it was an odd shaped room compared to a standard interior. 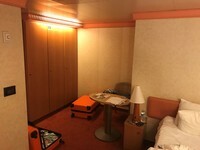 I&apos;ve stayed in a junior sweet and interior rooms and this was the largest cabin I have been in. We absolutely loved it! The location at a dead-end, kept it very quite from outside traffic in the hallway. We heard some hull noises maybe called by water hitting the hull, but only once or twice and it was not intrusive. No vibrations, no engine noises, just nice and quite. Dining options were excellent and we did not eat in the same place twice over the three days. The entertainment was amazing. Nono, the Cruise Director, was the best of my cruising experience. She was friendly, high energy, helpful and funny. The crowd was younger with many college and younger kids. But everyone was friendly, well mannered and fun! The shows were amazing! We partied like rock stars! We didn&apos;t do an excursion in Nassau. We just walked to the public beach, relaxed, shopped, and casually strolled around. 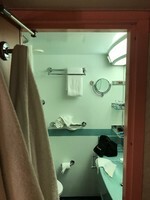 Our cabin was a class guarantee and was listed as TBD until two weeks before the cruise. I was very pleasantly surprised. 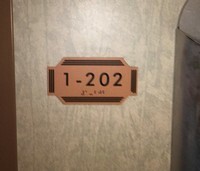 Room 1202 was huge! Largest I have stayed in. It was larger than the junior suite I had before. It was quite, at the end of the hall, had no engine noises or vibrations. Simply perfect!